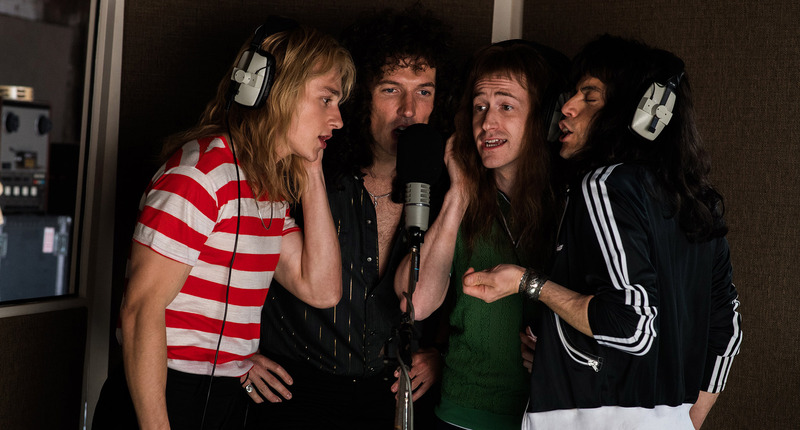 In all of its glory, “Bohemian Rhapsody” executes an outstanding job of celebrating and replicating the dynamics of Queen and their lead singer Freddie Mercury (Rami Malek). The movie lived up to high expectations. The films continues to rock the world and knock down barriers as it continues to popularize. The film perfectly traces the time the band existed by including or portraying their iconic musical hits and their unique sound as a band. As the movie progressed, the movie chose a variety of the band’s greatest hits. The movie outlines how the song was formed and captured the band performing it in concert. The movie flawlessly covers 15 years of Queen: the rise and comeback. It is as much a concert as the movie is a biography. 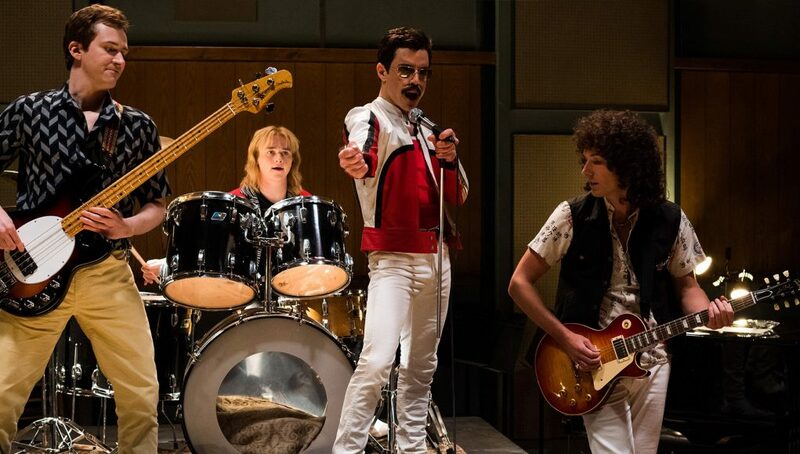 The movie does not forget to highlight the band’s special moments like their performances at Live Aid, a global charity concert in 1985 that raised money to fight hunger in Ethiopia. The movie starts off teasing a snippet of the band’s performance at Live Aid, leaving the audience members on the edge of their seat, excited for the movie to progress further. Back from the future and into the past, the audience members witness through screen how Queen formed and how Mercury earns a place in the band as lead singer. As the audience members take on the journey through the lives of Mercury specifically and the band itself, the plot reveals an insider on each band member and their personality. Set aside the instrumentalists, the director Bryan Singer casted the best actors to portray the band members. Brian May (Gwilym Lee) is the band’s guitarist, Roger Taylor (Ben Hardy) the drummer for the band and John Deacon (Joseph Mazzello) is the official songwriter and guitarist. The physical appearance similarities between the actors and the real band members are remarkable, and proves to improve the movie as a whole. This also leaves room for the audience members to get a direct visual of what each band member is and how they influenced the band individually. Malek’s ability to perform precisely like Mercury is quite outstanding. While Malek does not look exactly like Mercury, the physical similarities are evident, which allows him to embody Mercury from head to toe. Malek’s performance significantly carries the film, and fills it with soul and heart even in some of Mercury’s darker scenes. On stage, Malek is eccentric, outgoing and ultimately mesmerizing as he swaggers and rocks with the real Mercury confidence his character presumes him to be. Lucy Boynton (Mary Austin) is Mercury’s first love interest and argueably the love of his life. Despite this, the movie does not revolve on the relationship between the two since it does not last. Without Mary, as the movie discloses Mercury might not have fully explored his talent or come to terms with his sexuality. The movie does make sure to shine the light on how influential Mary was to Mercury, especially detailing how the supportive friend and partner he needed tended to be Mary. As the movie progresses Mercury does find the true meaning life and what it means to him. That including him coming to terms with his sexuality and whether he wants to continue his music career as a solo artist or with the band. The story of “Bohemian Rhapsody” details obvious parallels to other music biopics, maybe because so many famous musicians’ lives all follow the same path: they start out as a nobody; find love and success; stars encounter struggles from stardom, sexual adventures and drugs; then out of nowhere grow apart from those close to them and make an ultimate comeback because after forgetting about the, reminds people why they liked the band in the first place. In this case, for Mercury while he did get his head back in the game it is presumed that his past ways of life are what killed him. In 1991, Mercury died of AIDS-related pneumonia. Just the day before his death, the very private performer shared publicly his confrontation with the disease. The sense of Mercury’s tragic end creeps on the audience from the beginning, which represents a silent close-up on his eyes. 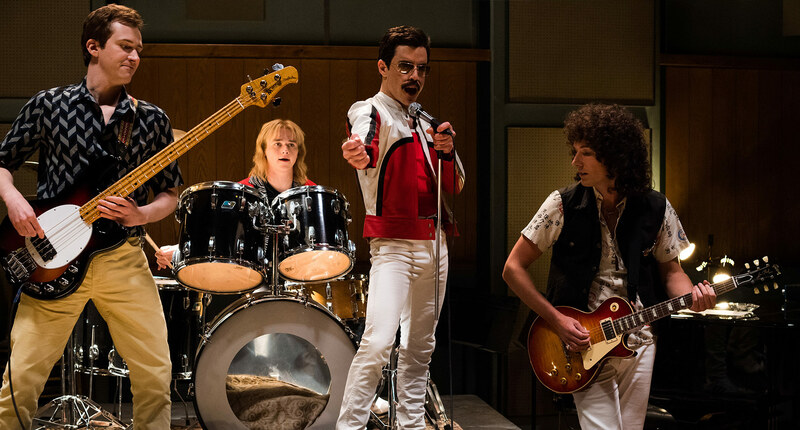 The movie does not shy away from unveiling Queen’s greatest music hits. However, the distinct moments that makes Queen what it was before and now, including how the band affected each member’s career is greatly captured. “Bohemian Rhapsody” most definitely lives up to the wait. For the last seven years, fans anticipated this revolutionary movie biopic, and without a doubt the film exceeds expectations. Under all the hype, the film is about four outsiders who made phenomenal and everlasting music. Hey! I'm Chelsi Peter, the junior editor-in-chief for Boone Pubs. I enjoy swimming and participate in Boone's swimming team. I love binge watching Supernatural and medical tv shows on Netflix. I enjoy spending my time reading and shopping.